I’m a huge fan on online banking. In fact, I opened our first online savings account with ING Direct (now Capital One 360) over ten years ago, and I haven’t looked back since. Sure, I still have a local brick and mortar bank for convenience, but I keep the vast majority of our savings online. Why? Because online banks offer significantly higher interest rates than do their local competitors. One of the biggest factors that I consider when evaluating an online bank is its interest rate. While online savings rates can fluctuate dramatically over time (just in the last few months, rates have increased substantially), certain banks are consistently among the best (or worst) of breed. For example, Capital One 360 is typically among the first to lower their rates and the last to raise them when the interest rate landscape changes. Thus, while they’re quite popular, they’re not at the bleeding edge rate-wise. In contrast, banks like Synchrony Bank, Ally Bank, and CIT Bank have always stood at the top of the interest rate game. CIT Bank – CIT Bank is currently offering 1.85% APY on all savings accounts balances with their MMA. CIT Bank offers a wide variety of CDs, home loans, and small business loans, as well. The minimum deposit to open a savings account is $100. Try Lending Club – If you’re looking for a higher yield than a regular bank can offer and you don’t mind taking on some additional risk, you might want to check out Lending Club. It’s not FDIC-insured, but annual returns have averaged 9.05% APY over the past 18 months. It’s free to open an account, and you can get started with as little as $25. Whenever I evaluate a new bank, I always check out their safety ratings. To be completely honest, I’m not sure why I bother because, as long as they have FDIC insurance, I’m perfectly happy putting my money there. Case in point… I recently opened an account with DollarSavingsDirect. They have a 1-star Bankrate rating, but I’m still perfectly comfortable having money with them, as long as my balance stays below the FDIC insurance limits. Perhaps more important than bank stability, especially for online banks, is security. The good news here is that most of the major online banks have fairly similar (and secure) login procedures, etc. Honestly, the biggest thing you can do to ensure the security of your money is to choose a strong password and then avoid falling for a phishing scheme. Barclays – Barclays bank currently sports 2.20% APY, which is 15x the national average. In addition savings and CD options, Barclays is also one of the premier credit card issuers in the United States. They offer cards great for travel, cash back, and balance transfers. Barclays currently offers an online savings account with no minimum opening deposit requirement. Many online banks don’t have a minimum balance requirement, but some do. Fall below it, and your interest rate will likely tumble. You might also find yourself subject to monthly fees. If you’re not in a position to keep a large amount of cash in your account on an ongoing basis, be careful to choose one without a high minimum. WT Direct used to be an example of a bank with a relatively high balance requirement ($10,000 minimum). Discover Bank – Discover Bank’s interest rate currently sits at 2.10%. Customers pay no monthly fees or minimum balance fees on the account, and it has no minimum opening deposit amount. For CDs, Discover Bank is one of the best, and I can attest to that first hand. I have a 10-year IRA CD opened up at 2.70% (when I signed up years ago) and today’s rate is even better at 3.10%. Also, their customer service is top-notch. I’m not terribly picky when it comes to bank interfaces. As long as the site is secure and functional, I’m pretty happy. That being said, some sites are certainly slicker than others. One of my favorites in this regard is an online savings account you may not have heard of. SmartyPig offers a clean interface with easy management. I’ve yet to encounter a single bug in its system. SmartyPig – Here’s another place I have a savings account. SmartyPig offers 1.75% APY on balances of $25,000 or more (1.50% APY on smaller balances). Their interface is my favorite of any bank. I’ve set up an automated deposit feature where every two weeks, I’m making sure money is coming from my checking. SmartyPig also offers the ability for others to deposit into your account. Unfortunately, SmartyPig only offers an online savings account. If you want more than just a savings account, be sure to check what other account types your bank of choice offers, as well as your options for linking them together. For example, Capital One 360 offers an online checking account that that you can link directly to your savings account. Taking this a step further, EverBank offers checking, savings, and money market accounts, as well as a wide range of CDs that you can purchase in a wide range of currencies. Another possible consideration is access to a brokerage account. Here again, Capital One 360 doesn’t disappoint, as you can link your account directly to a Capital One investing (previously ShareBuilder) account. Likewise, E*Trade offers both high-yield savings accounts and access to their brokerage accounts. Capital One 360 – The current APY on the Capital One 360 Money Market Account is 2.00%. Let’s be honest … that pretty good. 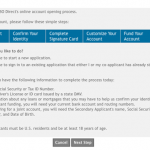 In addition to a high quality APY, Capital One 360 also has a lot of other account options. Online checking account, overdraft line of credit, money market account, and investment account are just some of the other ways you can be earning interest with Capital One (and their rates for those accounts are just as competitive). Customer service is sort of a funny thing when it comes to online banking. If all goes well, you’ll never need to interact with a real, live person. But if something goes wrong, you’ll likely want to get someone on the line. While many banks have 24-hour customer service lines, some don’t. If this is important to you, be sure to check it out (and maybe call to test their hold times) before selecting a bank. Another factor that I’ll lump in here with customer service is the time it takes to transfer money in and out of the bank. Some banks are quite good at this (like Ally Bank for example), consistently completing your transactions in two days, whereas others (HSBC Direct for example) drag their feet a bit and take a full three days. Not a huge deal, but it’s something to consider if you’ll be shuffling money around on a regular basis. Ally Bank – When Ally Bank changed their brand (from GMAC bank), they put an emphasis on customer service. If you need to get a hold of them, they have an online chat feature available 24/7, plus email and phone support. Ally Bank’s online savings APY is 2.00%, and they’ve gone a bit outside the box with their CD offerings. If standard CD’s aren’t your thing, you can invest in a raise-your-rate CD or a no-penalty CD. This one has never really been an issue for us, as we keep enough money in our local bank to avoid needing regular ATM access to our savings. Nonetheless, it’s an important consideration for some customers. Beyond asking whether or not your bank of choice offers an ATM card, you also need to consider fees. Some, such as CapitalOne 360, offer free ATM access via specific networks. But others do not. FNBO Direct also offers free access to a specific ATM network (Circle One), and both E-Trade and EverBank reimburse you for ATM fees for any transactions outside their ATM network. EverBank – If you have at least $5,000 in your EverBank account and are charged an ATM fee, EverBank will reimburse you. Every single time. While EverBank does not have a traditional savings account, they do offer a money market account with 1.60% APY for the first year. After the first year, the APY shifts to a paltry 1.05% – 1.25%. But where EverBank shines is with their online checking account and CD offerings. One of those CD’s is their foreign currency CD’s. Where else in the US can you open up a CD in shekels? 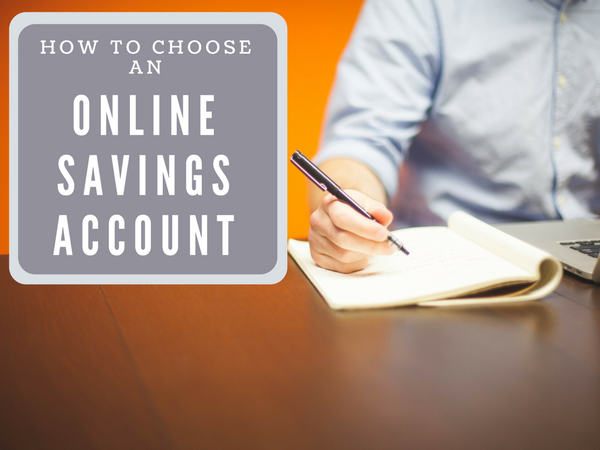 As with most consumer decisions, selecting the best online savings account is all about trade-offs and finding a happy medium. What’s more important to you: interest rates or safety ratings? Online interface or minimum balance requirements? Every bank you see recommended above is a quality bank. Your money is always FDIC insured, and the interest rates are among the best anywhere. Depending on your own personal needs, picking any one of them to put money away is a good decision. I have and Orange Savings Account w/ING. They do NOT offer ATM access. You have to get the lower interest checking account (Electric Orange) for that. Also, ING has drop there rates several times in the last few months. They’re giving me 1.85% now. I’m getting out. Don’t forget about GMAC Bank. Now with a 4-star rating, an actual “bank” status, and soon (this year) to get a name-change ridding itself of the GM affiliation. GMAC currently offers two no-minimum accounts: online savings, with a 2.75% APY, and money market, with a 2.25% APY. The money market comes with checks and a debit card (and they refund a limited amount of ATM fees). Customer service has always been good, online banking interface is simple and clean, and transfers are FAST (often next-day). My only complaint: no electronic statements option. It would only SAVE them money, but oh well. 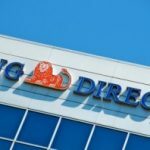 I’ve enjoyed using ING for the past year, but also feel frustrated watching our savings rate dwindle. I hate to move after a year to another bank, but might consider another option if rates continue to fall. BTW, have you noticed rates falling for HELOC? Our line of credit is at 3.25% Unbelievable. GAH!! DollarSavingsDirect just dropped their rate AGAIN . . . this time to 3.05%. I moved all but the minimum balance for DSD into my rewards checking at 5.01%, hooray! Unless you are operating in the 10’s of thousands range, rate hoping may not be worth it. Back when regular banks were offering 3% and online rates were in the 6%+ range, it was a practical goldmine. Rates have really dropped lately, so getting even 1/2 a point higher doesn’t have as much value. Security, service, and convenience are what to look for now. The main thing you need to watch out for is to make sure you do not exceed the transfer limit on your savings account, by law I think you can’t transfer out more than 6 times a month or something like that so moving money through the savings accounts to each other could get you into trouble. I have accounts with ING Direct and Emigrant Direct. Based on this article, I opened one at DollarSavingsDirect because the interest rate there is higher with DSD than the others (by at least 1% for ING, and nearly that for Emigrant Direct). Here’s the thing – I try not to have too many online accounts linked to my brick and mortar checking account. So, I’ve been linking one online savings account to another one, and using one account as the ‘funding source’ for another. Every online bank seems to ask for a b&m checking account for funding, but I just put in the routing and account info for my online savings, and it seems to work fine. Am I asking for trouble by linking a bunch of online savings accounts together when the banks clearly ask for a b&m checking account? I am doing research and planning on setting up my first online bank. I have read a lot of good testimonials from both ING and FNBO Direct. Is there any losing situation by picking one over the other? brad: Good point. E*Trade bank is likewise integrated with their brokerage account. I’ll try to add this in somewhere. It wasn’t mentioned in the article, but one of the nice convenience factors of ING is its integration with Sharebuilder Online Stock Brokerage Account. ING bought Sharebuilder a few years ago and you can link your Savings and Brokerage accounts together. So, if you want to make a stock purchase, or transfer the money you made on a sale to your savings…you can make these transfers instantly. No waiting a day or two for the transaction to go through. I guess this benefit all matters on whether you already have a brokerage account that you like. Sharebuilder from my experience is not bad. If you’re in the boat of wanting to open a brokerage account and have ING or are looking for an online savings account..then its worth checking out. I use ING with subaccounts and FNBO Direct for savings. Not only because FNBO has a higher rate, but the couple day delay between transfers lets you forget about the money in there and leave it alone. Can’t beat the ING Electric Orange. Sends paper checks for you? Totally Awesome. I’d really appreciate a more user friendly interface though. Like being able to forecast your balance out based on set transfers. Overall its a little clunky but it does EVERYTHING. The lower rate doesn’t come that much into play with lesser amounts in there. Jeff: No, I wouldn’t chase rates under those circumstances. Suburban, we use a strategy that might work for you. We keep subaccounts at ING for things like “entertainment” or “dogs”, which will have lower balances usually and we will access more. We then keep our “emergency” savings at DollarSavingsDirect, which will eventually have a much higher balance (once we are able to save up enough). This provides the flexibility of ING for things we use more often and the higher rate of DSD for our emergency savings, which will hopefully just sit and earn interest. What suggestions do you have for those like us, with ‘limited’ savings and a history at one bank? Realistically, because of our balance, switching from ING to FNBO would net us only a four dollar increase – is it worth it to rate chase? Do you find the other advantages at ING worth the reduced rate? I am considering opening an ING account but it isn’t at the top of the rate game. I like the idea being able to do subaccounts and haven’t heard of any other bank offering that option.